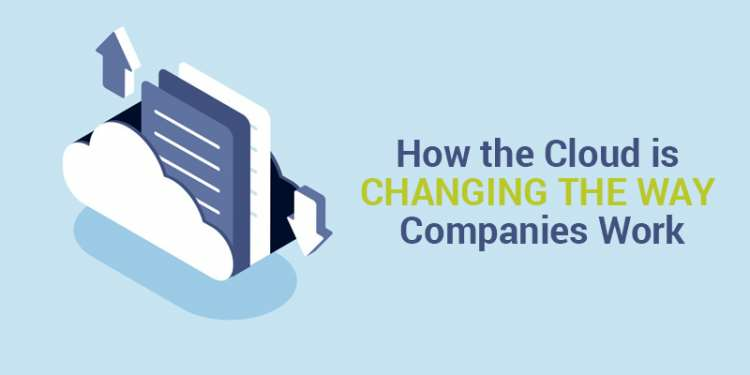 The Cloud has brought in major changes in how businesses function. In fact, cloud computing has exponentially changed the way we do business. Now, you might be wondering as to where the cloud exists and how it can be useful to your business. For starters, the Cloud allows you to store and access all your data, software, and programs over the internet instead of your physical storage drives. Which has spurred many companies across the globe to leverage cloud computing to meet their corporate demands. To say that cloud computing is fast changing the very dynamics of how companies do business is an understatement. The Cloud technology is quick, user-friendly, secure, affordable, and flexible. It is also available anywhere you have internet and the proper devices. You can use it while sitting at home, on the move, or even when having fun with friends and family. With employees connecting from home using their own devices, companies can benefit from a decrease in the infrastructure cost. Fewer desks need to be purchased if employees can rotate between the office and home. Many companies are experimenting with the remote/freelance workforce. Their business model doesn’t require maintaining an office building, which can save a lot of money. Also, the learning curve is diminished for companies adopting the Virtual workspace as freelancers are highly skilled experts and charge much lesser than a full-time employee. The Bring Your Own Device (BYOD) trend was started by the Cloud. The cloud essentially enables the entire office to be present in any employee’s home. Business clients can hire up or down as per the project demands. Investing in the cloud allows businesses to provide a central repository for all their data, communication and processing. With this central hub, employees can work from anywhere in the world, using any internet-connected device that they prefer. Employees and customers can connect through the cloud 24/7 for better service. Employees anywhere in the world can interact and share resources effectively. As companies, large and small, begin to adopt these cloud-based services, security becomes paramount. Vulpith’s dedication to security is the main reason why many clients and freelancers trust and choose the hybrid cloud-based platform for their work. Vulpith’s cloud-based platforms protect the project data. The freelancers cannot copy/download data from the integrated cloud workspace to his/her computer or access any website over the internet other than www.vulpith.com. Apart from this, a time tracker is installed on the freelancers’ device so that all activities can be tracked. As a result, as the business client, you will be the sole owner of your intellectual property thus ensuring double protection (Escrow for payment + cloud workspace for data) when you work with Vulpith. The Cloud Workspace is transforming businesses with its low costs, confidential data protection features, scalable model, easy and flexible payments, enhanced work productivity and more. Cloud workspace (as an additional service) can be ordered on the Vulpith platform provided a project is escrow protected. Once the project is posted and a provider is hired, Vulpith cloud workspaces can be ordered for each such provider by selecting the required software. For more information on how to leverage Vulpith’s hybrid cloud-based platform for your business’s success, please get in touch with us.